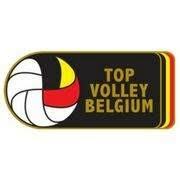 For the first time TopVolleyBelgium will organise the European Championship for men. For the first time in history 4 countries will co-operate to organise the EC volleyball. Together with The Netherlands, France and Slovenia, TopVolleyBelgium will bring an absolute volleyballfeast to our country. The Belgian Red Dragons count on the support of their fans during the games in Brussels and Antwerp. Our national pride will play their pool phase games in Paleis 12 on 13 and 14 september. The ‘EuroVolley circus’ will move to the Lotto Arena in Antwerp on 15 september to play the last games in the pool phase. Teams surviving the pool phase will play the next 2 rounds in the Sportpaleis. The biggest eventshall in Belgium will host the eight and quarter final. There the teams will fight for their spot in the semi-finals in Slovenia and France. The French Federation organises the final in Paris on 29 september.